Overview: Catch it if you can! There's a runaway gold train on the loose and who knows where it's going to stop!? Get on board with this classic slot. WIN UP TO 5,000 COINS! 5 LINE, 1 COIN. WILD. 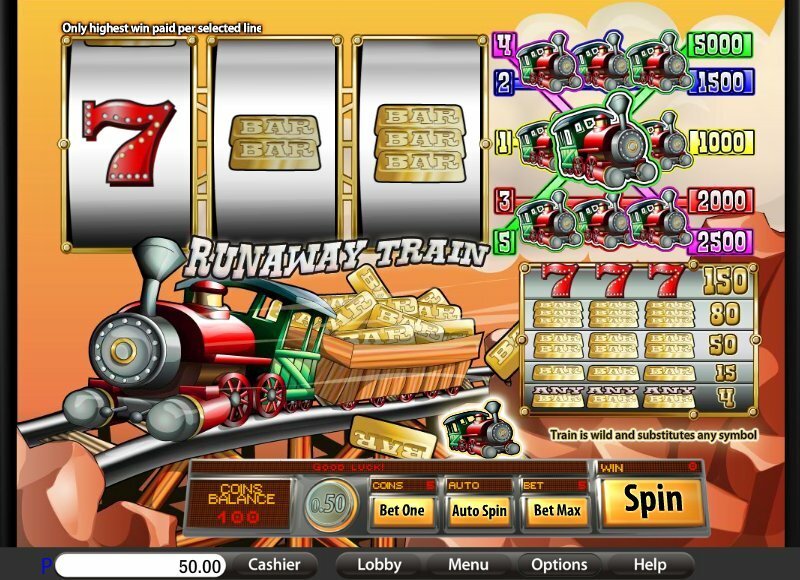 Similar Slots: If you like Runaway Train, you might like these other slot machines from Saucify: Break the Bank, Cash Flow - Progressive, Cash Puppy, iSevens, Scorching Sevens.